WE DID IT! We raised $1,000,000 in just about 10 hours! Thank you to all our cherished donors for being so generous. 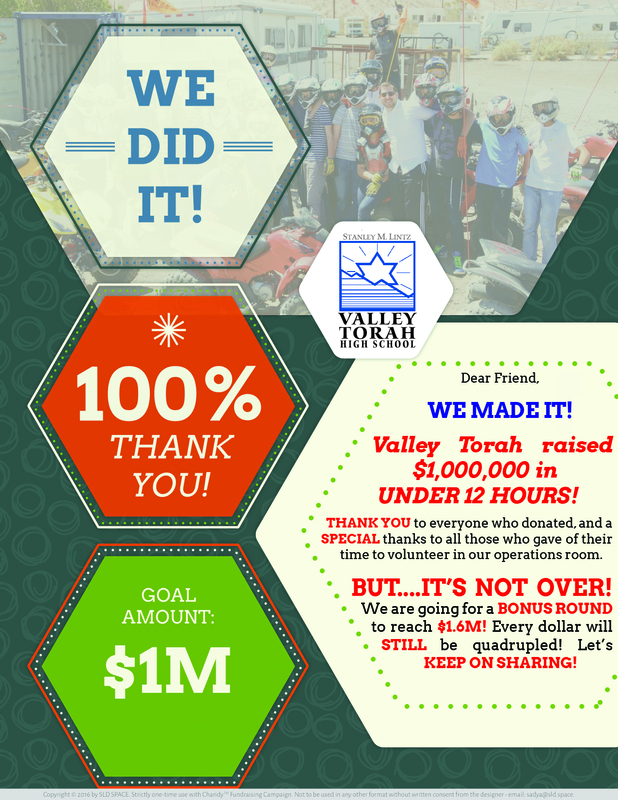 BUT IT IS NOT OVER YET – we are starting a bonus round to raise an additional $500,000. All donations will be quadrupled (just as in the first round). If you haven’t given yet – donate now. If you already donated – give again so we can reach our $1,500,000 goal.